Christmas and birthday haul: new year, new books! Suffice to say I am QUITE PLEASED. Witchfinders, The Blind Assassin, and the Witchfinder and Hellboy books were all on my wishlist, so I half expected those. The Silk Roads was from my boyfriend’s mum, always a fan of lovely new hardbacks, and I can’t wait to get stuck in – though I think I’ll only be able to read that one at home as it is so massive I don’t want to carry it around anywhere! Eat Pretty was from my cousin and looks like a great way to get started with a healthier diet (plus there are recipes for DIY beauty products, which look great). My sister bought me The Book of Strange New Things, which I’ve heard good things about, and I think is her way of trying to get me to read more sci-fi, which she loves. I’ve chosen it as my next read. I’ve also just finished reading Witchfinders, which I will write about soon. Which books are you starting 2016 with? Hello all, my apologies for not posting for almost a month! I have been busy at work which = super tired, plus I have been reading quite slowly recently for some reason, so I haven’t had many books to review. I did finish Alias Grace by Margaret Atwood the other week, and have a brilliant (ha!) blog post on it planned out, but haven’t had the time to sit down and write it. I’m aiming to do that this weekend, promise. I’ve also had some non-serious health issues that have kept me from the blog. So there’s that. Luckily, I am super excited about Christmas and going on holiday to Copenhagen just before (woohoo!) so I will be sure to blog about that and post some photos, which will hopefully be good and christmassy. For my Christmas reading, I’ve got the second half of Lady Audley’s Secret by Mary Elizabeth Braddon to read, and then I think it’ll be on to some more of The Early Stories of Truman Capote, which I’ve dipped into but not really spent that much time with. I have, as usual, quite a few unread books, so I’ll have to take some time to choose the next book to dive into! Reviews-wise, I’ll soon be revieweing Look at Me by Sarah Duguid, which is a Big Title for Tinder Press next year. Learn more about it here. I’ll also post about Lady Audley and those early stories from the young Truman – they are very interesting indeed. I’ll try to post as much as I can over the Christmas holidays. Are you all as excited about Christmas as me?! 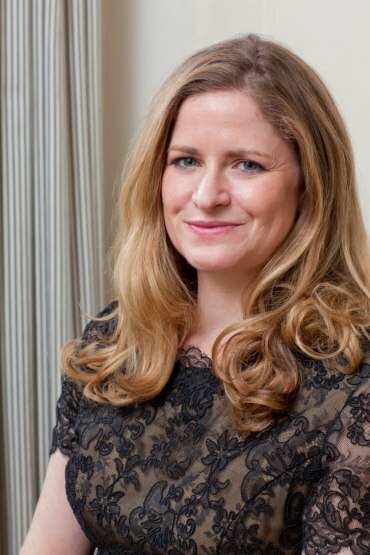 Liza Klaussmann’s debut novel Tigers in Red Weather was published by Picador on 2nd August to great critical and commercial success, having already been very popular with book bloggers and literary critics. A carefully plotted family saga covering twenty years, with secrets and lies sizzling at their summer house. I reviewed the book in July and absolutely loved it. And now, just for my readers, here is my little interview with the author herself, Liza Klaussmann. Enjoy! The tone of the novel reminded me of Truman Capote and Carson McCullers. Were any writers a particular influence on you when writing Tigers? I’m so flattered by the Capote reference ( I adore him), but I would say that Fitzgerald’s Tender Is the Night, Margaret Atwood’s Blind Assassin and Patricia Highsmith’s Ripley Underground were three novels I thought about while writing Tigers. The passage of the time adds amazing depth to the characters and shifts the focus between them. How much did the cultures of the different decades influence how you wrote each character? It was definitely on my mind while I was doing it; I thought about what kind of reactions the character’s would be having to the events happening in world around them at each specific time. I made up playlists of songs from the specific time periods for each section and would listen to them while I was writing. That’s probably why there’s so much music referenced in the book. But their changes also have to do with ageing and how growing older and experience affects them. The women in this novel are fascinating – they play such pivotal roles in the family and are so multi-faceted. Did you take inspiration from women you knew in real life? Or any others in particular? Well, my grandmother, who died just as I began writing this novel, was the inspiration for Nick — a strong, charismatic woman who could be cruel as well as fragile at times, but who looms large in the lives of the rest of the characters. Helena and Daisy are complete inventions. But Helena is character that I think many people may recognize — someone whose disappointments lead her to play the victim at every turn, and yet still she has some great qualities (at least in my mind), not least of which is a dry sense of humor. Tiger House is where ‘it all happens’ and is where Nick and Helena spent a lot of their childhood. Is there something to be said for places that hold a lot of memories affecting families’ behaviour and relationships with each other? I think they’re a perfect place for stories to unfold — that’s probably why there are so many books that use family homes as the scene for drama. I just saw the West End Adaptation of Eugene O’Neill’s Long Day’s Journey into Night and was struck again by how these sort of summer homes also carry with them all the memories of the past that can haunt and poison the present. From a writing standpoint, they are also heavy with sense memory which is a powerful well to draw from, creatively. Tigers in Red Weather is your first novel and has already created a lot of ‘buzz’ and hype, and looks to do very well when published in August (congratulations!). What are you planning next? I’m working on my second novel, which is a fictional retelling of the lives of Sara and Gerald Murphy. It is also a novel that concerns family, but the type of family that is created by a group of people, rather than the one we are born into. I am also fascinated by the societal view of the spectrum of sexuality in the 1920s, the period during which the book takes place. Many, many thanks to Emma Bravo at Picador and of course Liza Klaussmann for providing this interview. 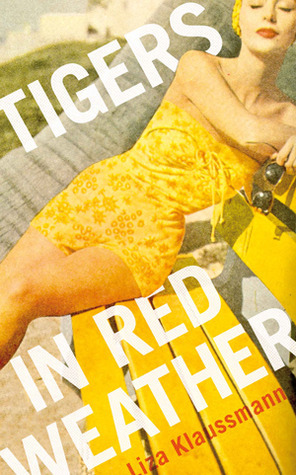 Tigers in Red Weather is available everywhere now – read it!